Good morning cuties! 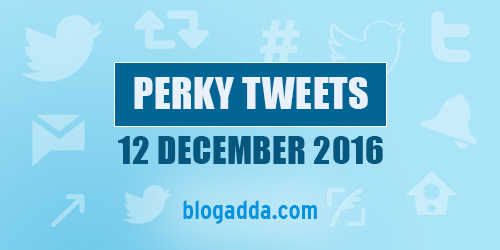 It’s time to get a big curve on your lips, as we bring to you the best #PerkyTweets of the week. Get absorbed into some giggles and chuckles and kick start your Monday morning. Gear up for a good laughter treat with these funniest ever tweets by some enthusiastic twitteratis. Read these quick-witted tweets and share some laughter quotient with your friends and family! Hello beautiful people, Monday is a sign to get back at your desks and fulfill your work obligations and set the scale of tasks for the entire week. To charge you up and enlighten your busy day, we bring to you best funny tweets of the week from our twitter sphere. 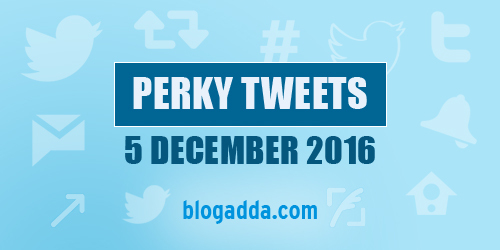 Laugh and wrap up your work with these hilarious #PerkyTweets of the day. Put on your laughter gear and get going for some chirpy and fun filled ride! Hi cutiepies, it’s time to get some laughter therapy with this week’s #PerkyTweets at BlogAdda. Forget all your usual routine and read some funny and humorous tweets. So, pick up your laptops or your cellphones and view these hilarious tweets by our twitteratis. We always love to share laughter and spread smiles throughout. Hope this funny twitter parade, gets a huge curve on your lips! Hi lovelies, it’s Monday again! We know you wouldn’t want to hear this word, as the weekend that just went by was awesome. We are again back to our monotonous work life. To cheer you up from this usual routine, we are here to serve you with this week’s funniest tweets. Laugh out loud and roll down your chair with these best #PerkyTweets only at BlogAdda! Good morning all the lovely people! A new week has kicked off again with loads of work at our desks. Let’s start the week with laughter and fun. Yes, it’s #PerkyTweets time at BlogAdda. Read the best funny tweets for this week and forget work’s humdrum. 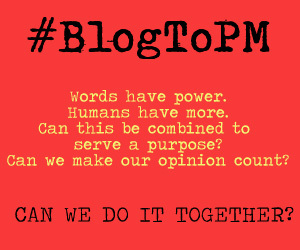 We bring to you the best tweets from our twitter marathon to kick start your day with a curve on your lips. Let’s get started! Good morning folks! 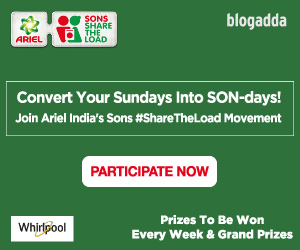 It’s Monday and BlogAdda is all set to share some laughter dose with all you people. Here are some of the funniest tweets, that will make you laugh and keep you refreshed the whole day. Let’s gear up for a good laughter ride with #PerkyTweets from our Twitter adda, where the twitteratis share their sense of humour with us!